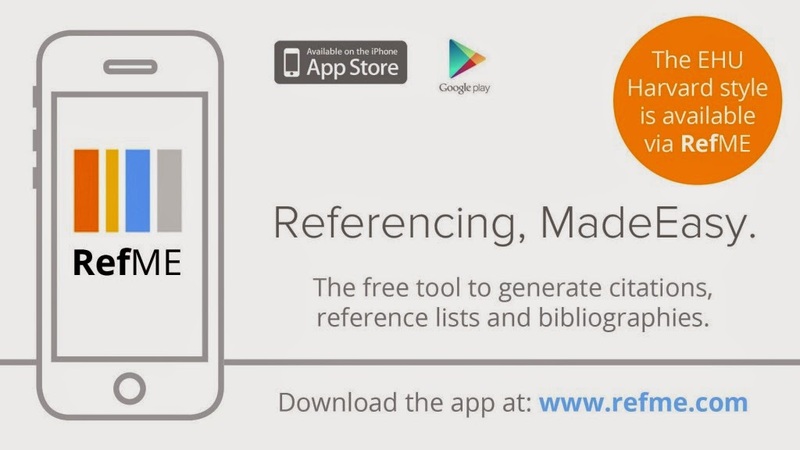 RefMe is a free tool available on the internet and as an app that helps you create citations, reference lists and bibliographies across multiple devices from anywhere, any time. 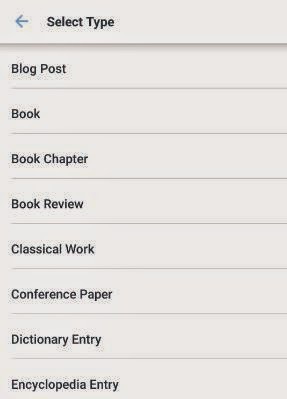 Use the iOS and Android app to scan the barcodes of the books and journals that you have used and they will be automatically converted into an alphabetical bibliography in Harvard referencing style or any of the other styles that are available. 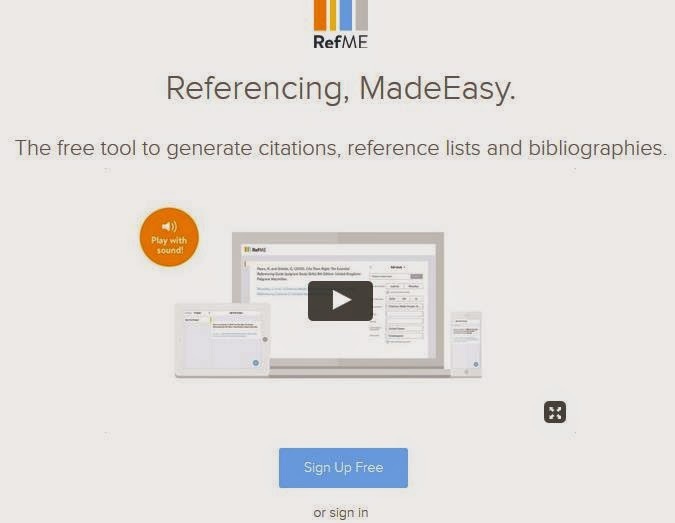 The bibliography that is created by RefMe is stored online (cloud storage), which makes it easy for users to access their bibliography anywhere and on any device. - There are 6,500 styles that you can use to create references for any source. 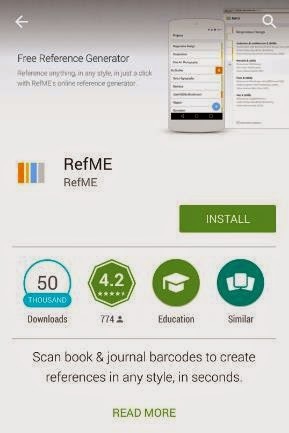 - Easy to use scanning tool to create references from book/journal barcodes in seconds using their mobile app. 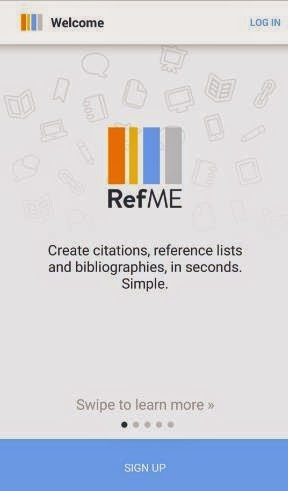 - Bibliographies are all saved and synced to the www.refme.com platform, which users can access anytime and across multiple devices. 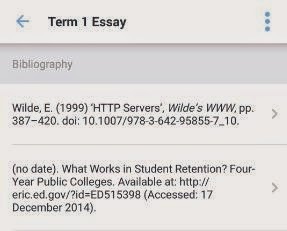 - Bibliographies can also be copied directly into your essay or you can export to Word, Mendeley, Google Docs, BibTex, Evernote and more. 3 - Click the Log In button (top right) from the app otherwise create an account by clicking the Sign up button. 1. Click on the icon to add a new project. 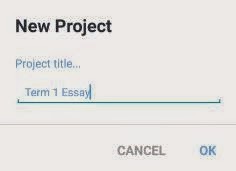 Enter the name of your project and then click the OK button. 2. 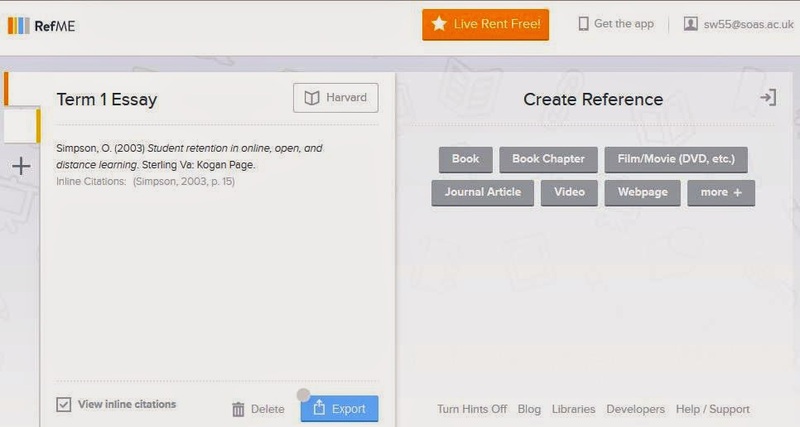 Once you have created your project click on the icon to start adding to references to it. 1. 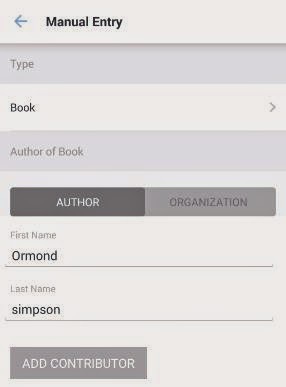 Capture the barcode – this is the easiest and quickest way to obtaining the details from a book or journal. 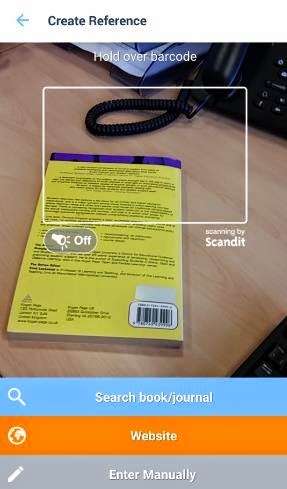 Hold your device over the barcode of a book or journal article, your device camera will take an image shot automatically of the barcode as soon as it detects it and then generates the reference as it would appear within a bibliography. 2. 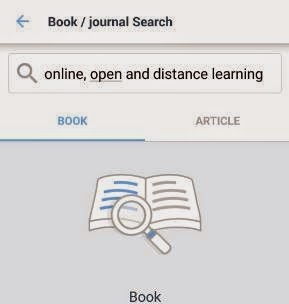 Search book/journal – this allows the user to search for a book or journal either by entering the title, author or ISBN. After you enter your search query hit enter and you will be given a list of results matching your search. 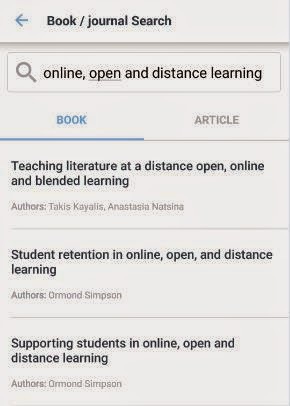 Select the desired reference from the list. 3. 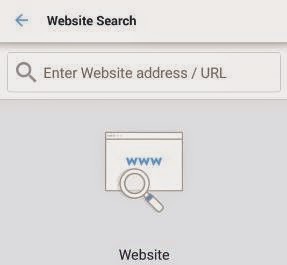 Website – if you wish to create a reference of a website you have read then simply copy the web address from your internet browser then open the RefMe app and select Website. 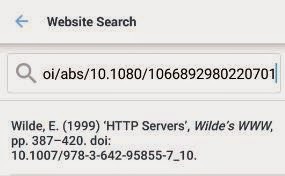 Paste the web address that you copied into the search bar and hit enter. 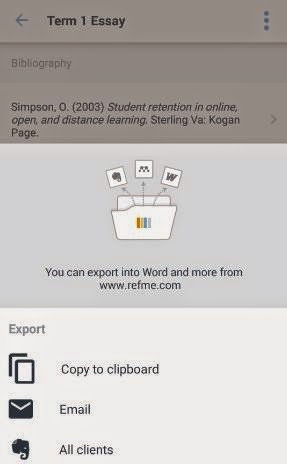 Please note most of the time RefMe will automatically detect the copied web address. 4 – Enter manually – the final method allows you to add your details to create the reference. 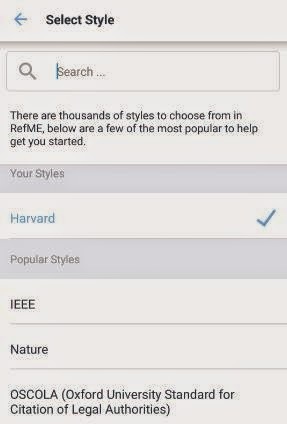 After selecting Enter Manually, simply select the from the type list what kind of material you wish to create a reference for. Enter the details into the available fields as necessary and then click save. Once you have obtained the details of the reference using one of the above four methods your reference will appear in your project. 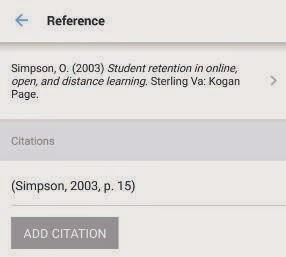 Click the Add Citation button to specify the location of your reference within the material in question either by entering a page number or page range and then clicking the OK button. 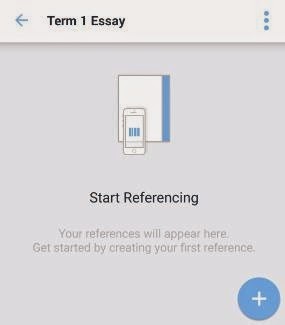 To delete a project or reference, swipe to the left on the project you want to delete. If you made a deletion by mistake simply click the Undo button (bottom left). 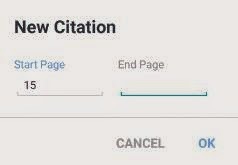 Once you have added all your references and citations you can export these to a more suitable format that you use to enter in your work. From the project screen click the icon from the top right and select Export. 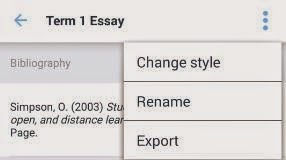 Then select how you wish to export the reference or citation. If you wish to paste directly into Word then select the Copy to clipboard option and then navigate to your word document and paste into the relevant section. 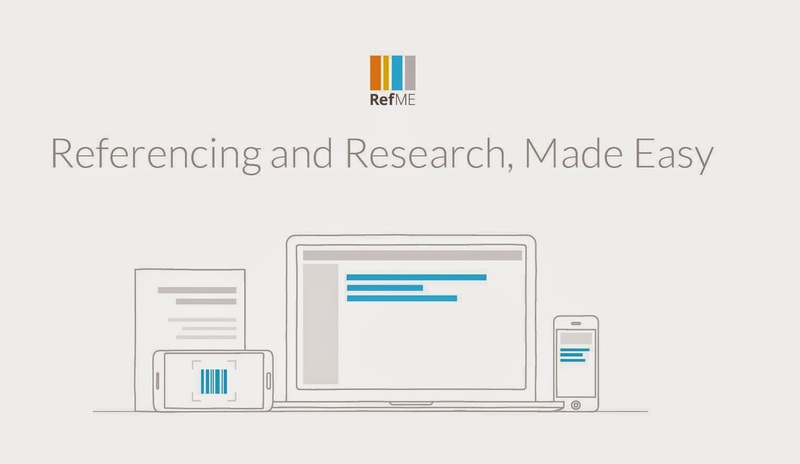 RefMe’s recently launched website allows users to sync the references made on their devices to their computer. In practice I found the app much easier to use than the website especially when utilising the capture option via my mobile device.